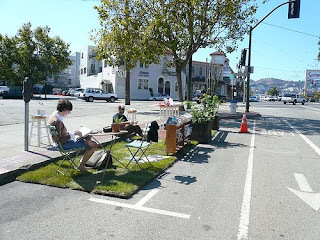 Everyone knows the line from the Joni Mitchel classic "They paved paradise and put up a parking lot," now we all get a chance to create our own little piece of paradise in a parking spot! 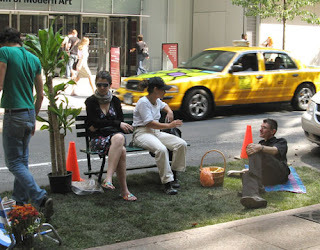 Tomorrow is PARK(ing) Day! 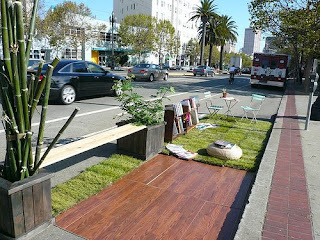 Take over metered parking spaces and create your own little park! How fun. Here are some great pictures from the past to get you inspired. 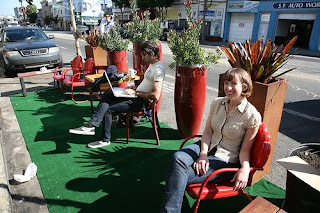 Many cities participate in PARK(ing) Day. 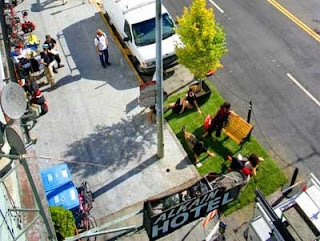 Check out the PARK(ing) Day network. Below are some links of cities who participate.